Today, May 28, 2014, marks the official grand opening of Seven Dwarfs Mine Train at Magic Kingdom® Park, and with it the completion of New Fantasyland. It’s the biggest expansion in the history of the park’s 42 years of operation, which does not come lightly. New Fantasyland ushers in two primary modern trends seen in the Disney theme parks, the first being a fully sensory experience. It’s that same touch of Disney storytelling but told in a completely new way. We no longer passively watch stories unfold in attractions, we become part of the stories. In New Fantasyland, we visit the very real locales of classic fairytales and have a hand in experiencing the rich world of each destination. Secondly, the expansion plays a hand in the recent initiatives to sweep a park-wide overhaul rather than introduce single new attractions in different parks. First came Disney California Adventure, and currently preparing for its spotlight is Disney’s Animal Kingdom® Theme Park. New Fantasyland inadvertently became part of a park-wide transformation of the Magic Kingdom that also included interactive character experiences, role-playing adventure games, and new entertainment. If a family so wanted to, they could spend park opening through 3:30 p.m. in the Magic Kingdom just experiencing attractions that have debuted after 2011. That’s how much “newness” there is. 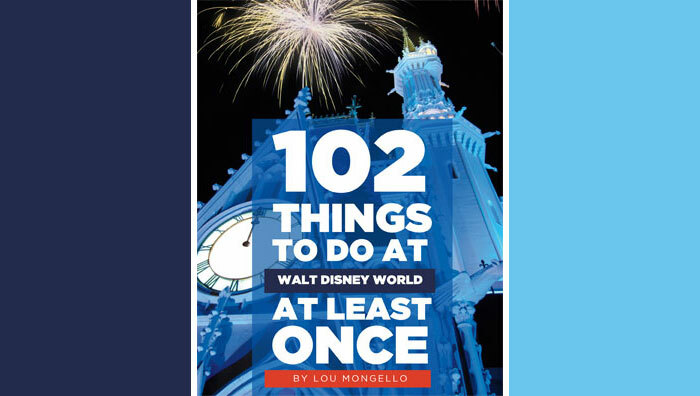 With New Fantasyland being such a benchmark that will be looked back upon for decades to come, on this momentous day, let’s take a look back through each step of this exciting journey toward expansion that we’ve been anticipating from home. July 2009: Blueprints surface. Rumors abound as construction plans leak from unofficial sources claiming Fantasyland will get a major makeover that will double its property size and eliminate Mickey’s Toontown Fair. Every Disney fan has a different opinion, but no one can say for sure how he or she feels given the speculative nature of the news. September 2009: The blueprints are real. At the inaugural D23 Expo, then-Walt Disney Parks and Resorts Chairman Jay Rasulo shocks everyone by confirming the rumors. He announces, “I need to clarify something that’s kind of been on my mind. There have been a lot of rumors online, and I don’t know where they come from. And I don’t even know where they get started, but it’s about a big expansion of Fantasyland at Walt Disney World®. Well, these rumors are absolutely—true.” [Cue thunderous applause.] As it turns out, the plans revealed here are slightly different than what New Fantasyland will ultimately become. For starters, the expansion is to be called “Fantasyland Forest.” While the plans at this time still call for Enchanted Tales with Belle, Be Our Guest Restaurant, Under the Sea: Journey of the Little Mermaid, and a double version of Dumbo the Flying Elephant®, they also hail attractions that will never come to be, including a dancing experience with Cinderella inside the Tremaines’ chateau, a surprise party for Aurora inside her cottage, and a Pixie Hollow-themed area for Tinker Bell and the fairies. April 2010: Out with the old. Ariel’s Grotto, the meet & greet for mermaid Ariel since 1996, and Pooh’s Playful Spot, a Hundred Acre Woods playground open since 2005, both close. Bigger and better things await! During the interlude, Ariel moves (this time with Prince Eric) to the porch just outside Aloha Isle in Adventureland. November 2010: Pooh goes interactive. The Many Adventures of Winnie the Pooh gets interactive games in its queue line, giving a taste of what is to come in future Fantasyland attractions being built mere feet away. January 2011: Let’s shake things up a little. With the introduction of Tom Staggs as Walt Disney Parks and Resorts Chairman (Jay Rasulo transitions to CFO of The Walt Disney Company®, a position he still has today) come some significant changes. The father of three boys, Staggs infuses a different direction toward some of the plans that will broaden the appeal of the expansion for the whole family. 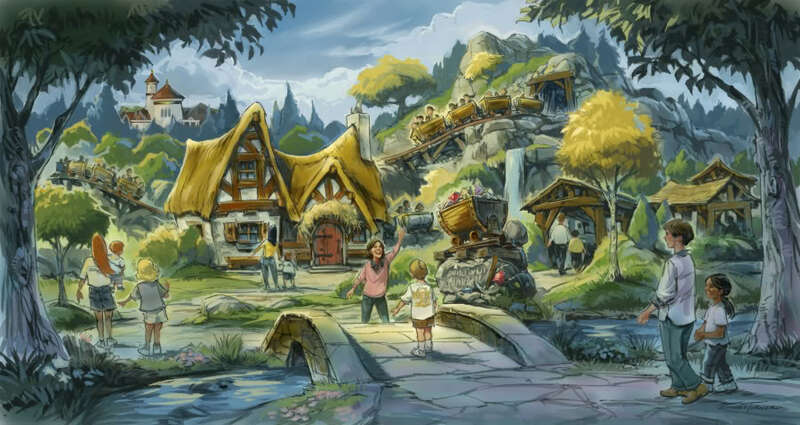 The name of the land will become New Fantasyland, and in place of some of the abundance of princess experiences will be Seven Dwarfs Mine Train, a family coaster somewhere between the thrill levels of The Barnstormer and Big Thunder Mountain Railroad®. 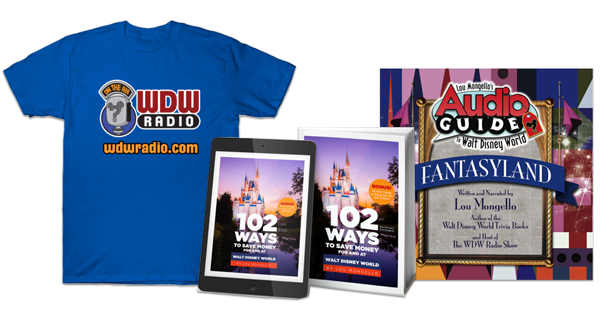 This news is met with applause and anticipation among the Disney community, who eagerly look forward to the first phase of the project opening in 2012. Meeting sentimental reaction is the news that Snow White’s Scary Adventures will close to make way for Princess Fairytale Hall, a character greeting for all of Disney’s animated royalty. 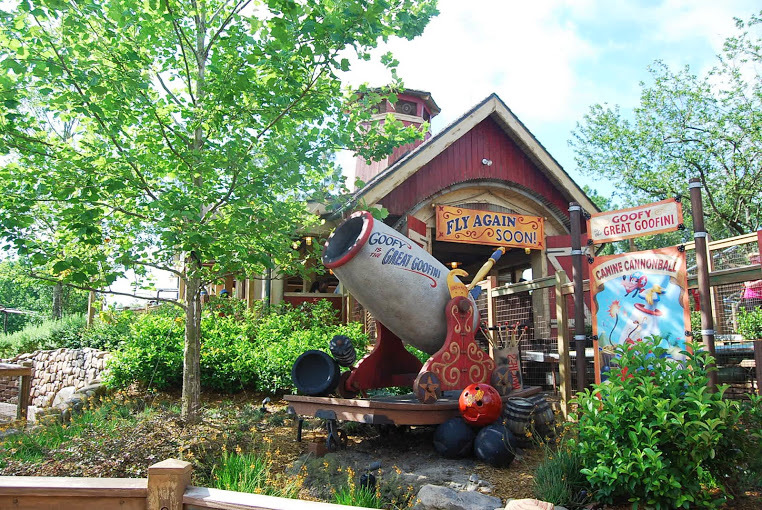 February 2011: Mickey’s Toontown Fair closes. After twenty-three years of operation for what was initially planned to be a temporary area, Toontown closes for good. A special ceremony exclusively for Cast Members bids farewell to the land with Mickey and the gang hopping aboard the Walt Disney World Railroad as “Mickey Mouse Club Alma Mater” plays them out. At the same Cast Member event, concept art debuts that sheds light on the replacement of what was initially to be Pixie Hollow: an expanded Dumbo area dubbed Storybook Circus, to include character meet & greets, a water play area, and the retention of The Barnstormer. February-July 2011: The great character swap. With Toontown being the park’s premiere character location, many Disney friends find themselves being switched around to different locations more times than High School Musical had sequels. After the dust settles, eventually Town Square Exposition Hall closes to become Town Square Theater, a new spot to find Mickey Mouse and the Disney Princesses. Meanwhile, what was once the Adventureland Verandah restaurant transforms into Tinker Bell’s Magical Nook, the go-to place to find the Disney Fairies who had formerly been in the Toontown Hall of Fame. August 2011: The model debuts. The second D23 Expo reveals the full 3D model of New Fantasyland, giving us our first complete look of the entire area. Can you say EXCITED?!? The model will eventually move to be on display at Walt Disney: One Man’s Dream in Disney’s Hollywood Studios®. February 2012: Storybook Circus opens. Just a year after Toontown closed, its replacement Storybook Circus opens its gates to become the first area of New Fantasyland to welcome guests. While far from complete and still surrounded by construction walls, it gives a tease of what is to come. Opening at this time are the expanded Dumbo the Flying Elephant (with an indoor, interactive queue that turns wait time into play time), the water play area Casey Jr. Splash ‘n Soak Station, a re-themed Barnstormer with Goofy now playing the role of the “Great Goofini” stunt extraordinaire, and a completely remodeled stop for the Walt Disney World Railroad. Details abound every which way, from peanuts ingrained into the ground to the references to Walt’s Carolwood Pacific throughout the railroad station. May 2012: Snow White’s Scary Adventures closes. Much of the spirit of the attraction will live on in Seven Dwarfs Mine Train, which at the time is deep into construction. October 2012: Storybook Circus, phase two. The mini-land becomes complete with the opening of Pete’s Silly Sideshow, an indoor themed meet & greet for Mickey’s pals dressed as circus performers, and Big Top Treats, a bakery/gift shop combo taking residence in the former County Bounty tent. With the completion of Storybook Circus comes the notion of a Toontown 2.0, really, a universe in which Dumbo and the classic Mickey Mouse shorts coexist, swapping out loud, temporary structures for a more rustic, vintage, permanent feel. December 2012: The majority of New Fantasyland opens! With much fanfare, Disney royally declares the Magic Kingdom‘s big expansion open for business. A music-filled opening ceremony in front of Cinderella Castle features singer Jordin Sparks, Once Upon a Time actress Ginnifer Goodwin, and oodles of Disney characters. Attractions opening on this day tell the timeless stories of Beauty and the Beast and The Little Mermaid. Guests help Belle tell how she first met Beast in the delightfully immersive Enchanted Tales with Belle and visit with Ariel in the revamped Ariel’s Grotto. A next-generation Disney dark ride, Under the Sea: Journey of the Little Mermaid debuts driven by twenty-first century special effects. For a bite to eat, there’s the sit-down Be Our Guest Restaurant inside Beast’s newly-erected castle and the quick-service Gaston’s Tavern, where, yes, he does use antlers in all of his decorating. Bonjour Village Gifts serves as the area’s primary gift shop. 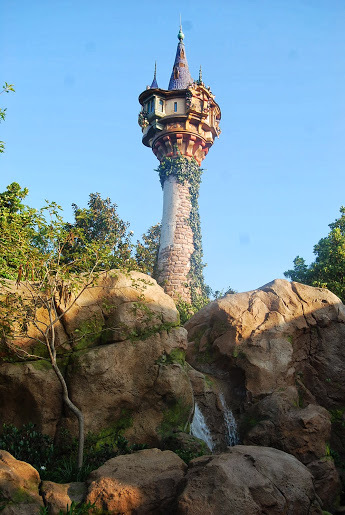 March 2013: Rapunzel’s tower appears. Unannounced and suddenly appearing as a pleasant surprise is the most elaborate restroom Walt Disney World® has ever had. Celebrating the 2010 Disney hit Tangled is a full-scale version of Rapunzel’s tower and a highly detailed surrounding area featuring phone-charging stations, floating lanterns, and “hidden Pascals.” All of this is in the former spot of the Fantasyland Skyway. October 2013: Princess Fairytale Hall opens, Mickey gets chatty. 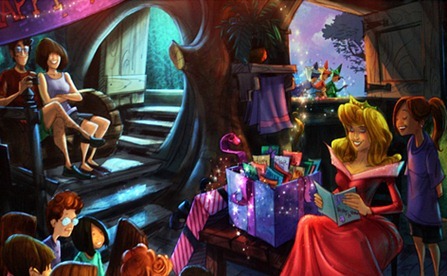 In the former spot of Snow White’s Scary Adventures, guests can have a royal visit with several of Disney’s leading ladies. The option of two different rooms gives families the chance to meet several Disney Princesses. The spot soon becomes one of the park’s most popular destinations with the arrival of Anna and Elsa from Frozen, regularly prompting waits of up to five hours. Without the gals to talk to any longer in Town Square Theater, Mickey decides to try something new and begins talking to guests, eliciting true Disney magic in a way many thought we would never get the chance to experience. May 2014: Tink flies south. At last finishing the four-year character switcheroo, Tinker Bell’s Magical Nook closes as Tink takes up residence (without her fairy friends) in Town Square Theater in the room formerly occupied by the Disney Princesses. 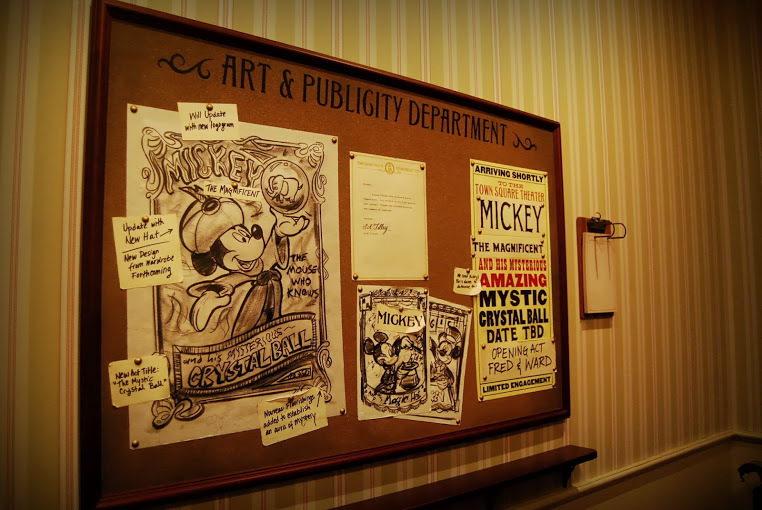 Mickey remains in Town Square Theater. May 2014: It’s complete, for now. With the opening of Seven Dwarfs Mine Train, New Fantasyland becomes finished. A famous Walt saying goes that the parks “will never be completed, as long as there is imagination left in the world,” so who knows how the landscape may change in the decades to come. But for now, things are wrapping up, and the biggest expansion in the history of the Magic Kingdom is ours to play in, explore, and enjoy. What’s been your favorite part of New Fantasyland‘s journey? Do you remember your reactions to the many announcements, closings, and premieres? Blake studies Electronic Media and Film at Appalachian State University. He enjoys making his family of six watch the parade in Frontierland and then sprint to Main Street in time to see it again. You can find him on Twitter @olddirtyblake or at BlakeOnline.com. I was so devestated when I found out Snow Whites scary adventures was closing, it was my FAVORITE attraction:(:( I like everything about new fantasyland, but never saw the mine train obviously beacuse it jut officially opened. But I will not watch any youtube videos of it, I’ve already almost saw a commercial for it when I was watching the Middle got to wdw! My favorie part, of course, is the Beast’s Castle, Enchanted Tales with Belle, Gaston’s Tavern, and Bonjour Village Gifts which always has something in I MUST buy! I was there opening Day and got to eat in Be Our Guest just a few days earlier! Couldnt have been better! I’ve always wondered what did they do with the beautiful houses of Toontown. I can’t believe they were just torn out. Maybe taken to Disneyland Hong Kong or something? by far our favorite spot has to be what we refer to as “Recouping Land”. That area with the floating lanterns, charging stations, bathrooms, and Rapunzel’s tower is the most magical area Disney has created in decades!! We visit that spot in the late afternoon and then again in the evening to see the magical differences. I personally wish the babbling brook was a little bigger but it’s still the perfect spot to stop and look around you. Thank you for the exciting recap! 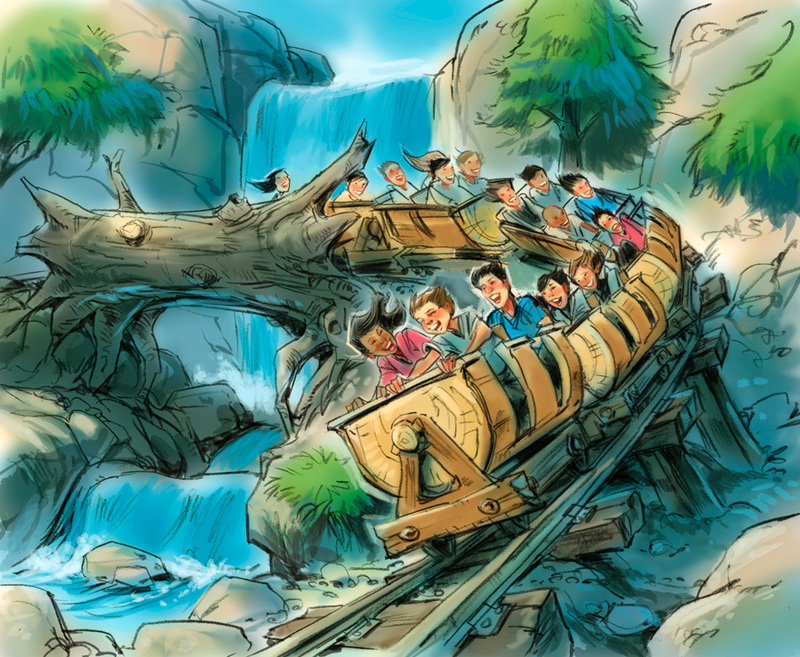 Can’t wait to ride the mine train in October. I do wish they would have kept the plans for Pixie Hollow. The Fairy franchise is such a hit it’s hard to believe their presence is now just going to be a Tink-only meet and greet. But wait! There was no mention of the changes to Peter Pan’s flight. It was closed the last time we were there in October 2013. I thought the Tangled expansion was to replace the rest rooms formerly near Peter Pan so that Imagineers could expand the queue. Is that complete? I have not heard much about that change and its not mentioned in this article. I loved Tangled when it came out and I got a chance to see the new Rapunzel area when I went to WDW in February. It is by far the best spot of the new Fantasyland. I saw an article by Jack Spence that showed pictures of both bathrooms and I’m sorry I’m a girl because I would love to see the frying pans over the sinks in the men’s restroom! My next favorite spot is Be Our Guest Resturant. I would love to have lunch\dinner in all the rooms and just soak up the atmosphere. Can’t wait to ride the Mine Train!